Live Creating Yourself. : The Summer Collections are Here! Just in time for summer, two of my talented, entrepreneurial ladyfriends have launched the second collections of their blossoming companies (and I predict burgeoning empires)! For all of my fashion-loving readers, be sure to check out the new blazers available at Two Penny Blue! Props to the styling in this shoot. Abundant gold accents = feast for the eyes! I sported my 2PB blazer the other week in a tropical Skittles-inspired outfit (turquoise, red, and fuschia) and received so many compliments! It's such a great classic, especially with the gold buttons. ...and for you interior design junkies, Biscuit's new bedding collection is now for sale online, including the Alaina, complete with teensy Eiffel Towers and confetti! Click here to shop Biscuit's new collection! Ok now for the fun/difficult part. If I had to choose one from each collection, I'd go with the cambridge blazer in dahlia (can't say no to pink) and the Alaina duvet (duh). Which blazer and bedding would you want in your life? 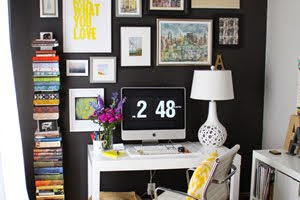 I love love love the styling here as well! Great collection, thanks for sharing. Those blazers are fabulous! I'm torn between the dahlia and striped. Though I also love the way the emerald one is styled. And the Mackenzie trays would look adorable in our nursery. i adore the dahlia and navy blazers! 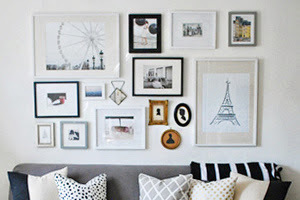 and i love the alaina and mackenzie prints. I've been looking at these pictures for twenty minutes; I just LOVE these blazers. Thank you for sharing! Loving all of the awesome blazers!!! Oh my goodness, I hadn't seen the latest Biscuit collection! Clicking over to drool now! Thanks so much for the love, Alaina! 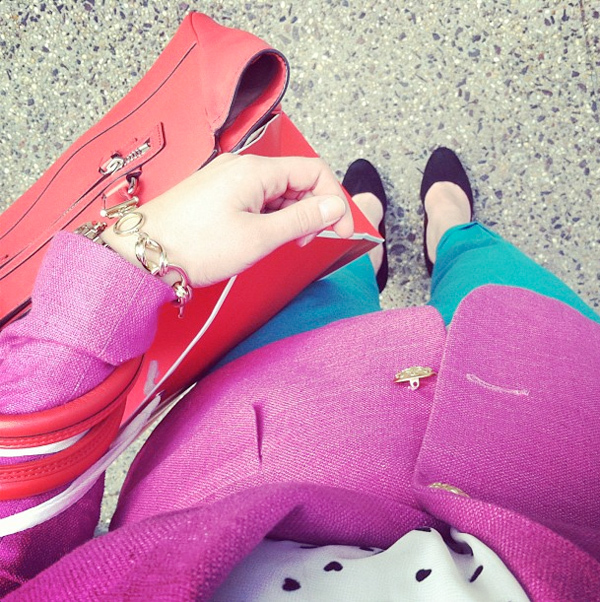 Always excited to see how you style the Cambridge Blazer in Fuchsia - it's one of my favorites!